WIC gives you good foods to help you provide the best possible start for your child to grow up healthy. Foods such as fruits, vegetables, milk, whole grains, eggs, peanut butter, cereal, formula and baby food are made available for your family. But that's not all. The WIC Program also provides nutrition and health information, breastfeeding education as well as referrals to other services for pregnant and breastfeeding women, new moms, infants, and children to age 5. 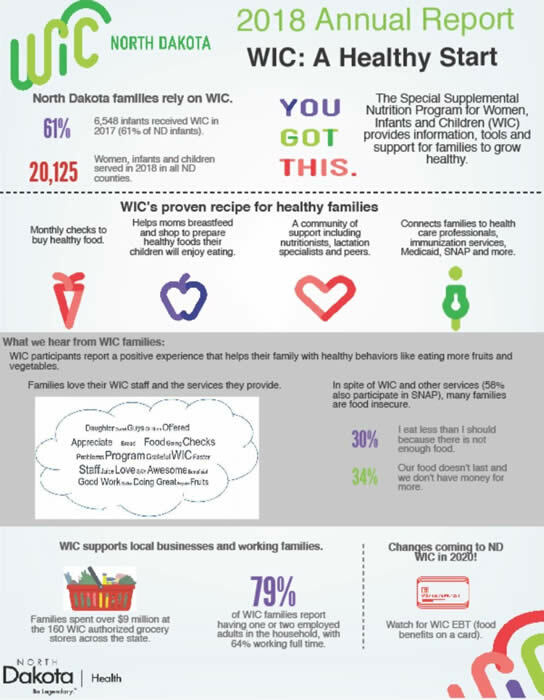 WIC is for all kinds of families: married and single parent, working or not working. If you are a mother, father, grandparent, foster parent or other legal guadian of a child younger than 5, you can apply for WIC. 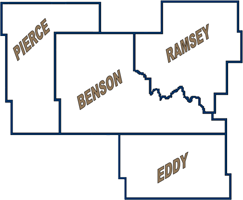 For more information or an appointment please call 701-662-7043.